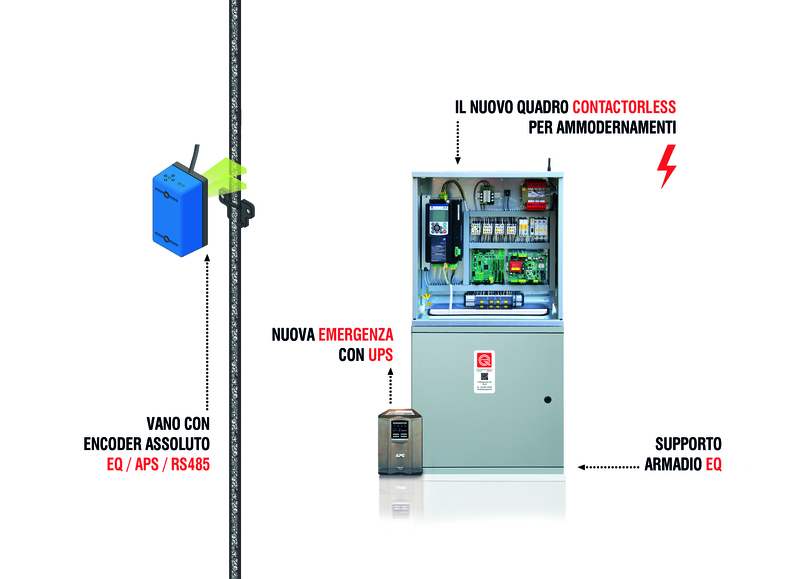 To make the installation faster and avoid any misinterpretation, ELETTROQUADRI provides a fully prewired system. All circuits and eletric parts are tested to grant the user a quality product. 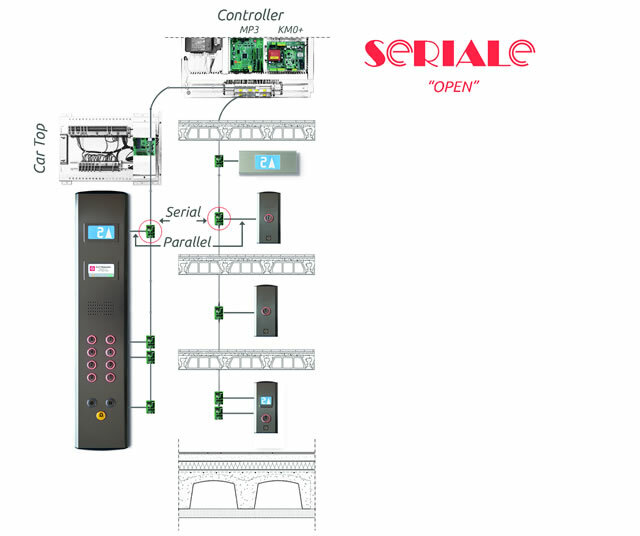 It can be provided in three versions: fully parallel, serial versus car only, fully serial car and landings.